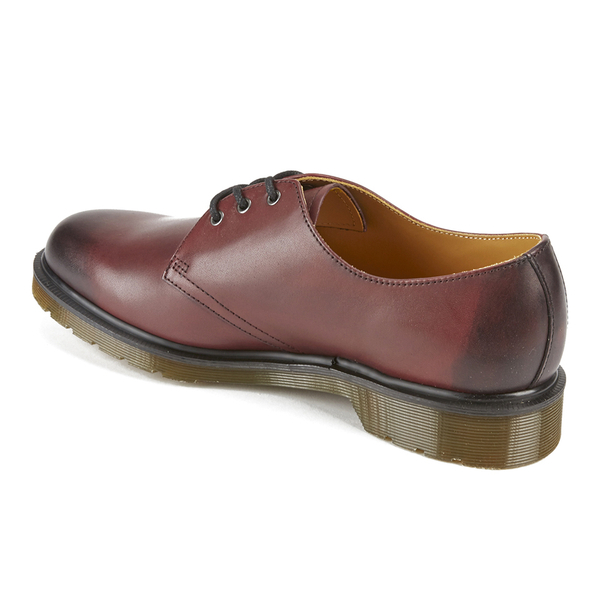 Men’s cherry red ‘1461’ leather Derby shoes from Dr. Martens. 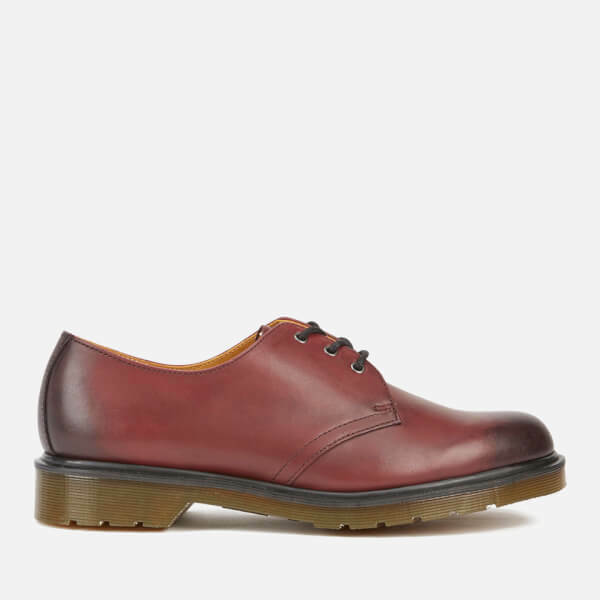 Crafted from soft Aniline full grain leather with a hand antiqued finish, the iconic shoes are fastened with a three -eyelet laced closure. Goodyear-welted, the upper and signature air cushioned sole are heat-sealed and sewn together for durability. 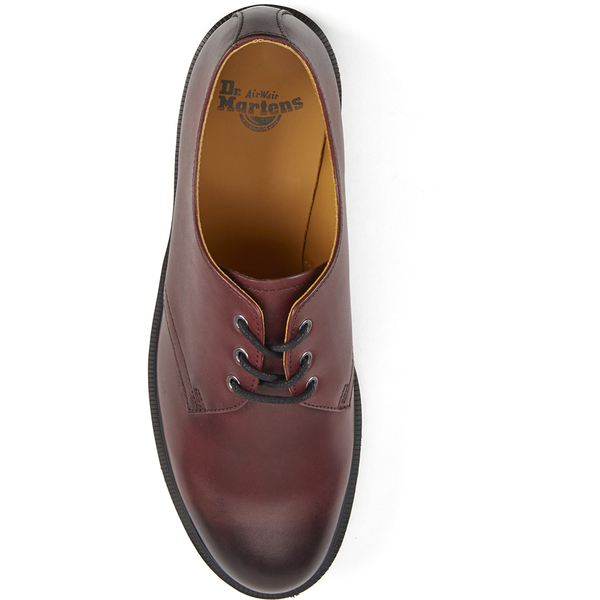 Complete with a branded insole and a signature PVC sole that provides excellent abrasion and slip resistance. The pair of shoes is amazing! I bought it for friend and he likes it. The shoes just fit his feet very nice，comfortable and apply in so many situations. The discount is also awesome which is a good news for our students. However, the express is always slow when I bought at the website several times. Custom Survice is satisfying. Whenever I send a message to ask something, they can replay in time to solve my problem. Thanks a lot. The shoes are of high quality and I will come to buy at next time!